Here's what you need to know about this free-to-play app for kids. Toca Boca is a popular creator of children’s apps on smartphones and tablets. The company has released a ton of premium “Toca” games, like Toca Pet Doctor and Toca House, which parents can purchase once and then let their kids play as much as they want. As reported by Axios, the latest Toca Boca app is Toca Life: World, and unlike most of its predecessors, this one’s free-to-play. 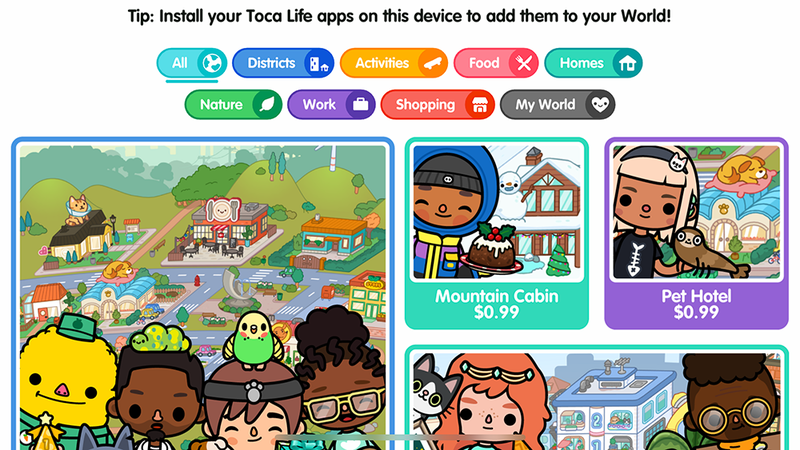 Toca Life: World combines all of the content from the Toca Life apps (City, Vacation, Office, and more) into a single place. The app is free to download, and it lets newcomers explore eight different in-game locations, like a hairdresser and shopping mall, and interact with 39 different characters. For instance, players can take a character into the hairdresser’s shop to change their hairstyle. Additional content can be purchased with real money through in-app purchases. 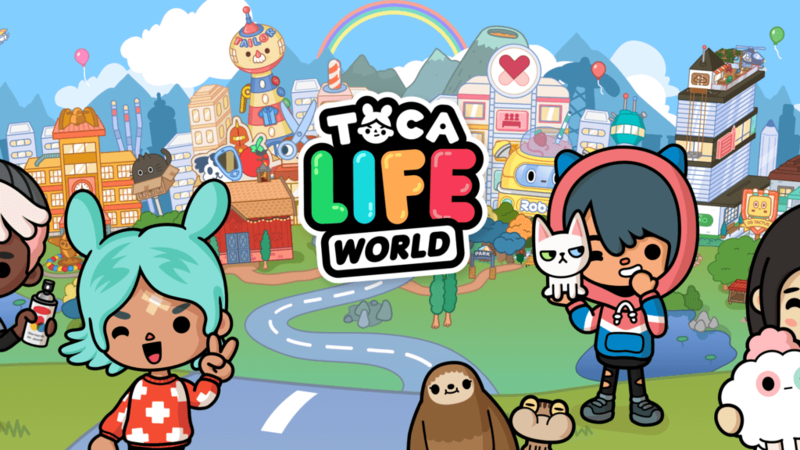 The Toca Life: World store has more than 50 locations, 300 characters, and 125 pets available to purchase in bundles at a variety of price points. For instance, a Mountain Cabin location with six characters can be unlocked for $0.99. A larger district, Lettuce Lands, contains eight locations and 51 characters, and costs $6.99. Players will also receive free in-game gifts each week, even if they don’t make a purchase. The app attempts to prevent kids from making in-app purchases on their own by requiring an adult to enter their year of birth before the purchase window will be displayed, but older kids who can read may be able to get past this. 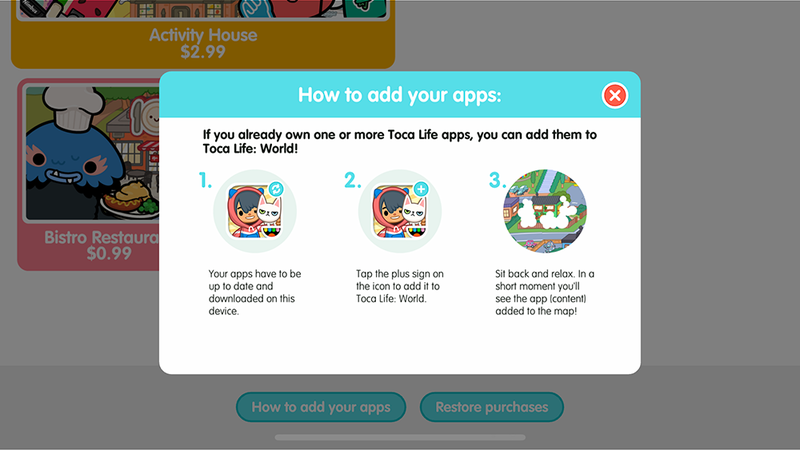 If you’re interested in letting your kids try Toca Life: World, make sure you change your device’s in-app purchase settings to prevent them from making unauthorized purchases with your information. As Axios reported, if your family previously purchased an app in the Toca Life series, you can unlock its content for free in Toca Life: World so your littles can keep on playing without missing a beat. Free-to-play games often receive a bad reputation as being “pay-to-win” by blocking off certain content behind paywalls, or otherwise creating an in-game economy or energy system that highly encourages users to spend money to improve their enjoyment or make faster in-game progress. And for some games, that criticism is well-earned. However, not all free-to-play games are bad. After all, free-to-play games let kids and adults try all sorts of experiences in different genres for free to potentially find something they love. Plus, many free-to-play games are supported for years after their initial release, with developers adding new free content for fans to enjoy, while, yes, also giving them the option to purchase additional content through in-app microtransactions. So long as you’re aware of what your kids are playing (and limit their ability to make purchases on the fly), there’s nothing saying kids (and adults) can’t have fun by playing a free-to-play game. Toca Life: World is available to download for free on iOS, Android, and Amazon devices.